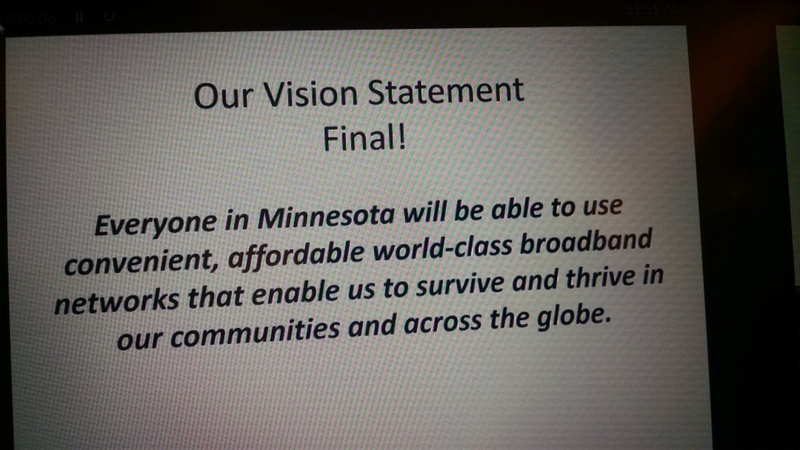 Everyone in Minnesota will be able to use convenient, affordable world-class broadband networks that enable us to survive and thrive in our communities and across the globe. This entry was posted in Blandin Broadband Summit, Blandin Broadband Summit 2015, Blandin Foundation, MN, uncategorized by Ann Treacy. Bookmark the permalink.